You probably already know about the amazing advantages of playing casino games online. There is the huge convenience of having everything you want at the tips of your fingers, there is the free membership and there is the ease of use that allows you to access hundreds of gaming options without waiting in line or trying to beat the crowds. Well, now we can give you one better. You get to experience all the excitement and thrills of a land based casino, including live dealers and other players, but with the super convenience of being able to play from your PC! Live games benefit from the knowledge of a professional live dealer, as well as top quality video technology and state-of-the-art online games design, so you can enjoy a vibrant and exciting all-round online gaming experience, with an added sociable feel. A video image of the dealer is streamed directly to your computer in real time. You place your bets using the on-screen buttons, and watch as the dealer responds to your requests, deals the cards, or spins the roulette wheel. The dealer also announces the outcome of the game, as well as providing in-game statistics and a leaderboard. 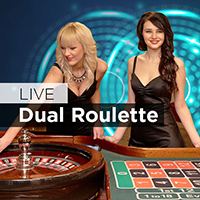 Live games can only be played using a Real Money account, and available games include Live Blackjack, Live Roulette, and Live Casino Hold ‘em. Games that involve an element of gambling were an ancient form of entertainment and have continued to be enjoyed across the globe. However, the games were usually played in the street or people’s homes, until the Venetian ‘Ridotto’ appeared on the scene in the 1600s, paving the way for gambling houses known as casinos to become a regular occurrence. The concept caught on quickly and soon spread throughout Italy, then Europe, and across the Atlantic to America, where the modern idea of a casino was created. But online casino games did not become truly accessible until technology developed and the online casino was invented. This meant that people could access their favourite games around the clock, with stakes starting much lower. Practice mode games that could be played for free also came into existence, and people could fit their favourite entertainment around a hectic schedule. However, some people began to miss the social element of a real casino, and so live games were created to bridge the gap between technology and social interaction. Using internet-based video technology a real dealer element could be added, and combined with state-of-the-art software, a whole new online entertainment experience was made possible. There is no 100% certain way of improving your odds of winning when you play online games, but you can make certain adaptations to the way you play to avoid making mistakes that can negatively impact your games. Before you play, make sure you are aware of the odds and the house edge. Our games offer a variety of betting options, so you need to fully understand what is available to you to make the right choices. Each bet has it own odds and its own corresponding payout. A general rule to follow is that bets that pay out higher amounts are more difficult to hit because they have a higher house edge, while bets that offer a lower payout, such as even money, have a lower house edge and a higher chance of winning. When you can place multiple bets, such as during a Live Roulette game, knowing your full range of betting options helps you to create a better spread on the board and improve your chances of hitting a winning number. Some games, such as Live Blackjack, can be played using optimum strategy – this is a system based on mathematical calculations – you allow the strategy to dictate your next move and, if followed rigidly, this can help to lower the house edge and improve your overall game. 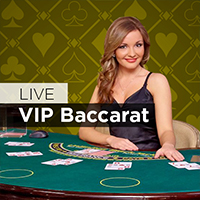 To play our live casino games, simply log in to your account and click on the game you would like to play and you will be taken to a game. 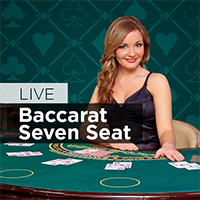 The live dealer will be streamed to your computer via real-time video software. The dealer will deal the cards or spin the wheel, while you place your bets using the on-screen buttons. Live casino games are the perfect combination of state-of-the-art games technology and a professional dealer’s insights. We offer a variety of options for you to enjoy, so here is an overview of some of our most popular live games to help you decide which game you would like to play. 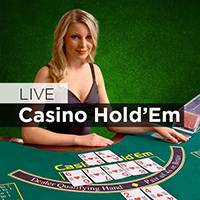 Live Casino Hold ‘em: This is a heads-up Hold’em game that you play against the dealer. The winning hands are based on standard poker hand hierarchy, so it is an easy game to pick up and play. You pay an ante and receive two hole cards and three community cards. If you decide to play, two more community cards are dealt – for you and the dealer to share - and you each use these cards to try and improve on your hand. It’s just like in a poker game, only simplified. With the benefit of a real live dealer, this Casino Hold’em is enhanced by live chat, dealer insights, and in-game statistics. 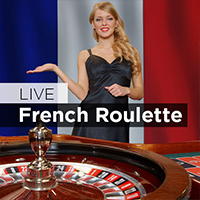 Live Roulette: This is a traditional favourite, made even more exciting by the presence of a real dealer. An easy game to learn but extremely fun to play, thanks to its complex betting system and variety of betting options, the outcome of each game is decided by a single wheel spin. Whichever numbered slot the ball lands in is the winning number – and if the number matches any number in the bets you placed, you win. 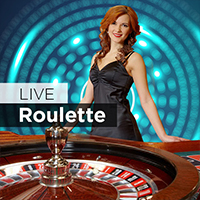 Live Roulette boasts a variety of payouts, ranging from even money for a low-risk bet, up to 35-1 for a single number or Straight bet. The live version is enhanced by interactive chat with your dealer and a leaderboard. 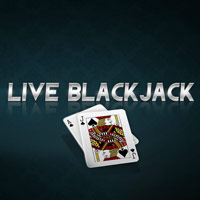 Live Blackjack: Another casino favourite, this card game is one of the best known in the world. You play against the dealer, and try to beat his hand. To win, you need to make a hand of 21, or as close to 21 as you can get without going bust. Your hand must be stronger than that of the dealer. The most sought-after hand, and the most difficult to achieve, also pays out the most in the game – this is known as Blackjack. To win 3:2 by hitting Blackjack, you need to have a two-card hand that makes a natural 21, made up of an Ace and a card worth ten points in value (a 10 or a face card). The live version includes a leaderboard and increased in-game statistics for extra excitement. Bankroll: This refers to the money you have deposited into your account to use to play our online casino games. Bet: This is the money you place, predicting the outcome of a game. Betting Limits: The maximum and minimum amount you can bet in a game. Bet One: To activate a single payline. Bet Max: To activate all possible paylines and activate the game in a single press of the button. Cashier: This area is for all money transactions – deposits and withdrawals. Even Money: A winning bet that pays out at 1:1. Lobby: This is the area where you access all of our casino games. Fixed jackpot: This type of jackpot has a fixed amount to be won. House edge: The advantage the casino has over the player for a specific bet. House rules: The rules that your online casino specifies for the game, affecting both the dealer and the player. Payout: This is the money you win if you predicted the correct outcome for your game. Paytable: This area shows the various winning combinations and their attached winnings. Progressive jackpot: This type of jackpot has a fixed lower limit but no upper limit – the jackpot accumulates as players pay into the extra side bet that is required to be eligible for the jackpot win. The amount won is the amount shown on the progressive counter at the time of winning. Once triggered, the jackpot returns to its minimum amount and begins accumulating again. Real Money: This means you are playing casino games for actual cash, using real cash to place your wagers. You need to open a Real money account and deposit funds to play our real money games, and live games can only be played for real money – no practice play option is available. Wager: Another word for ‘bet’. Although there are no guaranteed ways to win, there are a few things you can do to enhance your overall online casino experience. These moves are simple to use and easy to adapt into your game, helping you to choose the right game, look after your bankroll, and concentrate on having fun. Know your bets and rules: Before you start playing, make sure you are familiar with what’s expected of you during the game and what types of bets you can make, as well as their payouts. This will make sure you make fewer mistakes and have more fun overall. Many players like to mix their bets with a variety of low paying, low-risk and high paying, high-risk wagers. Be aware of the number of bets you are placing and the amount you wager per betting round, to make sure that your overall spend is suited to your bankroll. Protect your bankroll: Whatever type of game you like to play, it is a good idea to have a strategy when it comes to your money. Decide how much you are going to spend, whether you are going to use or keep your winnings, and then stick to that plan. Betting limits are shown on each table, with their minimum and maximum amounts clearly displayed, so make sure you choose a table that suits your bankroll and your money strategy. Look out for bonuses: Cash bonuses and other promotional offers can be used to boost your bankroll, providing you with extra funds to use at the tables. They are a common feature for both new and returning players, and they come in a variety of forms, but make sure you read the terms and conditions so that you can be certain that the bonus is suitable for the types of games you play. Our current Welcome Bonus on offer for new players is 100% up to £100 (plus 200 spins) extra. Register your online casino account: Click on Play for Real Money, complete the online form with the necessary details – for security and identification purposes only – and select your preferred currency. Read and agree to the terms and conditions and your account will then be created. Make a Deposit: You need to make a deposit to play for real money. You can choose from a variety of safe and secure deposit methods – the full list of available options is available in the Cashier. Select your preferred method, specify the amount you wish to add to your bankroll, and then complete the on-screen instructions from your chosen provider. Play: When your money shows in your bankroll, you can go to the lobby and choose from any of our games, including live games. Our goal is always to provide the greatest features and experiences to our players. Live casino online is the best of both worlds, so why not try a Live Casino UK game today? LIVE.Casino.com is licensed and regulated to offer online casino gaming services under the jurisdiction of Gibraltar. ©2019 LIVE.Casino.com is an internationally registered trademark. LIVE.Casino.com is operated by ONISAC Ltd of Suite 732 Europort, Gibraltar under a license issued by the Gibraltar Licensing Authority, RGL No.053 and regulated by the Gibraltar Gambling Commissioner. 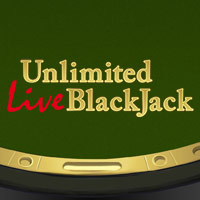 For players located in Great Britain only, LIVE.Casino.com is operated by Mansion Europe Holdings Ltd under a United Kingdom Gambling Commission Remote Operating Licence, Number 000-039448-R-319446. Only players above the age of 18 are permitted to play our games.